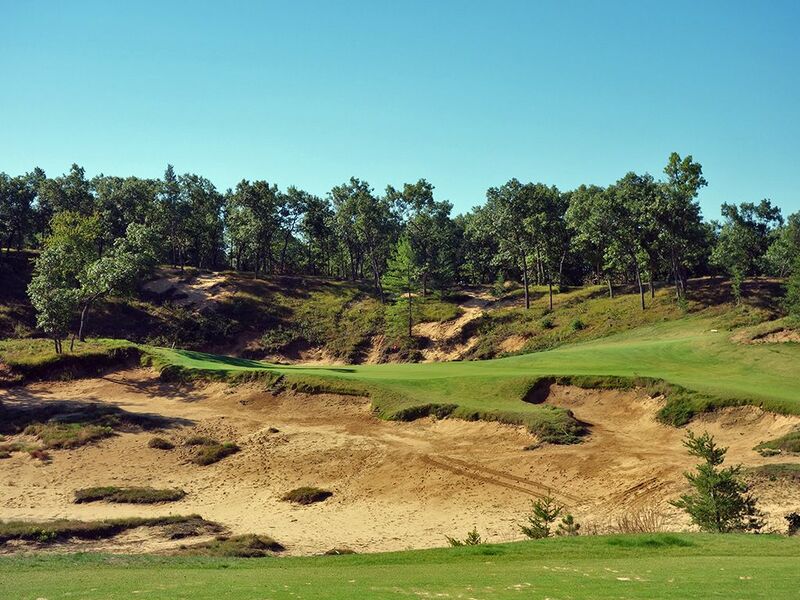 Course Website: Official Website - Visit Mammoth Dunes's official website by clicking on the link provided. 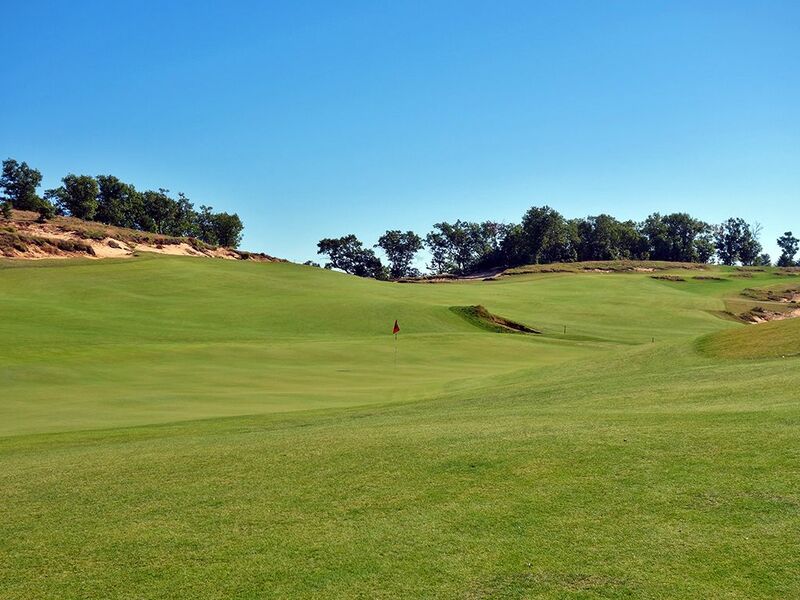 Accolades: Ranked 3rd in Wisconsin on Golf Course Gurus' Best in State list. 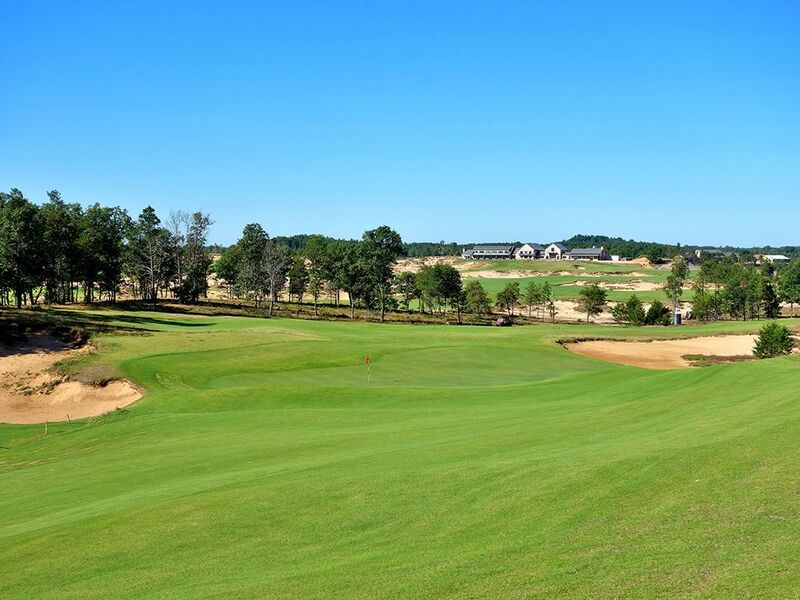 What to Expect: The sister course to Sand Valley in Mike Keiser’s latest development located on the sandy soil of Central Wisconsin, Mammoth Dunes was an opportunity for David McLay Kidd to prove himself again after his wildly popular Bandon Dunes offering nearly two decades earlier. Kidd went through a confounding stretch of designs that seemed to figure out more ways to punish golfers than rewarding them with a fun experience. 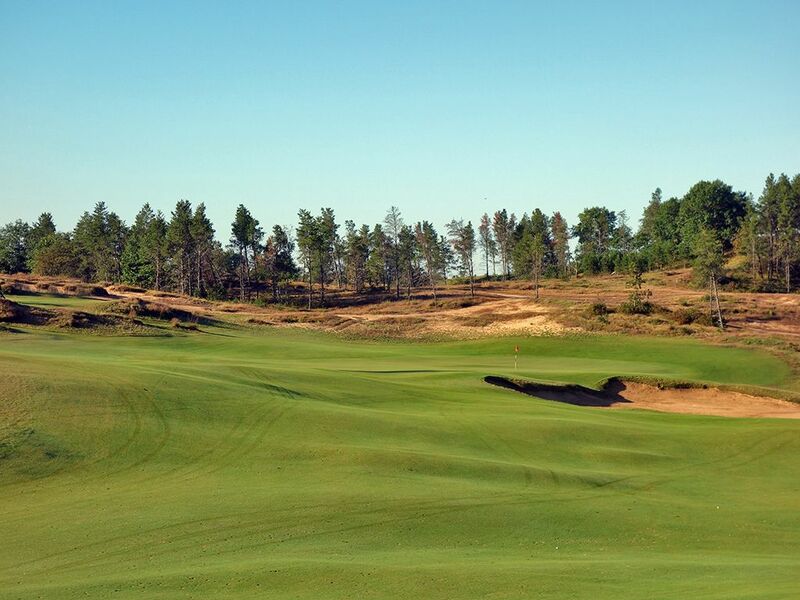 After showing Keiser his design at Gamble Sands in Central Washington that was clearly a turnaround for Kidd focused on having fun again, Keiser brought Kidd in at Sand Valley and the course he designed at Mammoth Dunes is an absolute blast. The hole designs ooze with creativity as the natural movement in the terrain allows for a unique variety of hole shapes and some of the most memorable greens you’ll ever come across. One thing players notice right off the bat is how big the fairways and greens are. The fairways are flat out HUGE! You can hit it virtually anywhere and have a short grass lie for your next shot which really adds to the playability factor of the course. But Kidd also made sure to reward the straight hitters by offering speed slots that can really propel the ball further when hitting it to the correct portion of the fairway. 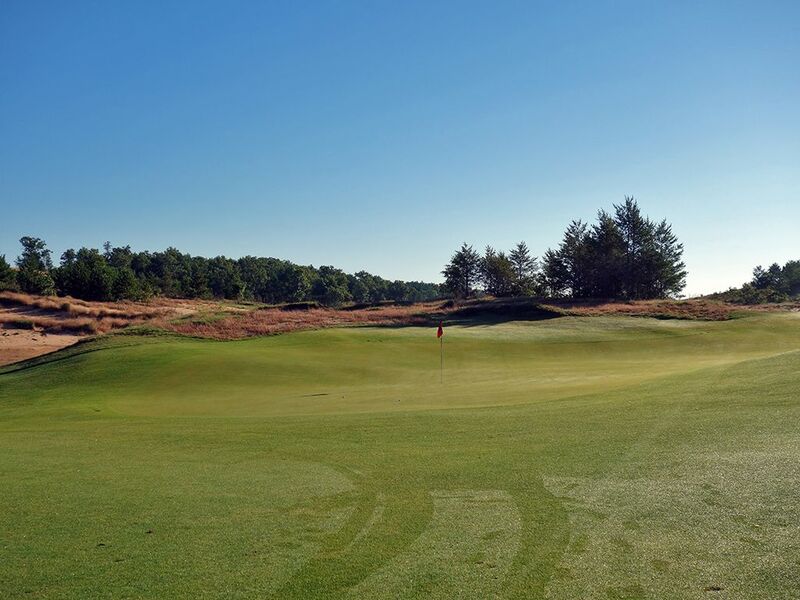 While the closing few holes are a bit weak compared to the rest of the track, overall Mammoth Dunes represents some of David McLay Kidd’s best work and is a design that players will enjoy coming back to again and again. The course is walking only and players are offered a caddie to carry their bags or players can take a Riksha pull cart to navigate the course with. 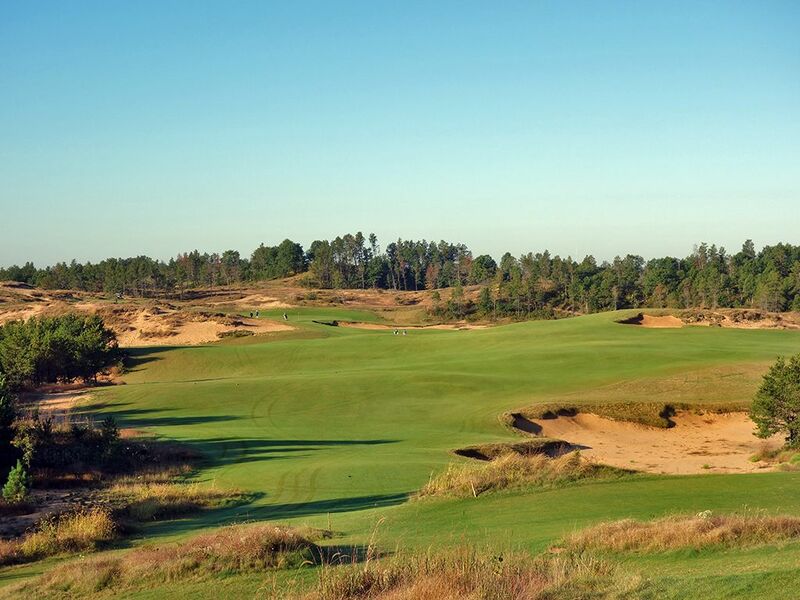 For those that have been to Streamsong, a visit to Mammoth Dunes is a reminiscent experience in terms of look, feel, and style that is essentially “interior links” golf. As a side note, Mammoth Dunes has one of my all time favorite logos and is worthy of purchasing merchandise in the pro shop with it on it. 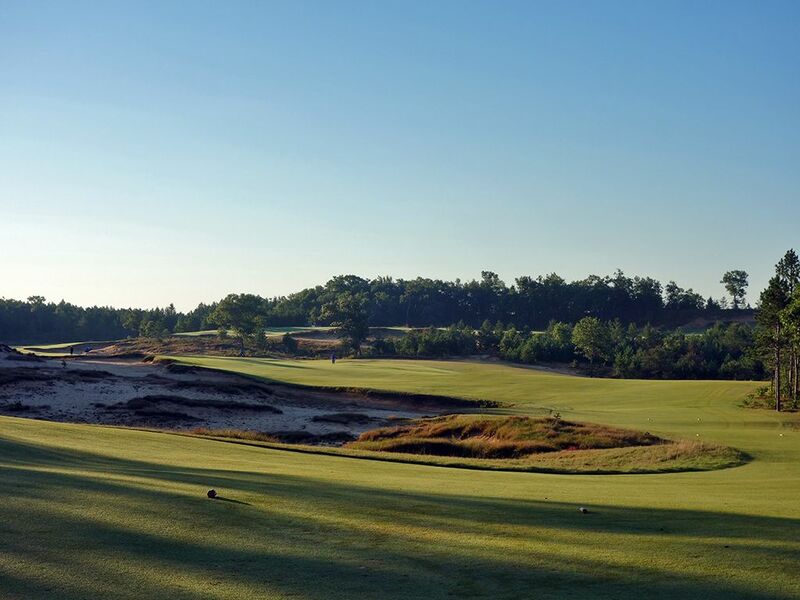 Signature Hole: 14th Hole – 325 Yard Par 4 – The hole that everyone will remember, and love, at Mammoth Dunes is the signature driveable 14th. The elevated tee offers a generous fairway to hit as long as you stay right of the center bunker that is 50 yards short of the green. The steep right to left slope in the fairway acts like a funnel to the putting surface and it is an absolute blast watching your ball roll and tumble its way to the green in hopes of finishing with a chance to roll an eagle putt. If you happen to go left of the center bunker and manage to avoid the waste bunkers found up that side, you'll be given the option to chip directly into the green or to use the side slope and ground game to roll the ball near the pin position. The elevated tee, ability to drive the green, and optional ground game all add up to one really fun hole. Best Par 3: 13th Hole – 130 Yards – This short one-shotter is not only a beauty, but it features one of the most unique shaped greens you'll ever encounter which adds some challenge and creativity to this hole. This hole can play as much as four clubs different depending on whether the flag is tucked in the front right corner or the back left; neither of which provide much forgiveness. If the flag is anywhere in between then feel free to go pinseeking and set yourself up for a nice opportunity for birdie, especially if the hole is in the thumbprint depression portion of the green. If you are worried about carrying the massive waste bunker fronting the green then aim right and let the slope in the terrain work your ball back towards the flag. 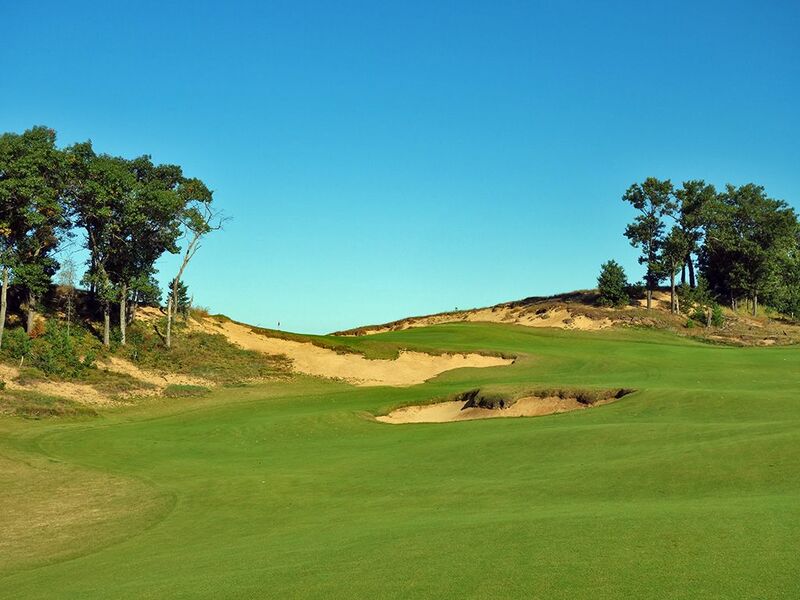 Mammoth Dunes has so many fun holes and this is yet another one. Best Par 4: 10th Hole – 339 Yards – The 10th shares similarities with one of the best 10th holes in the country; the back nine starter at Merion's East course. This short uphill hole bends left enough to tempt players into cutting the dogleg in an effort to reach the green. 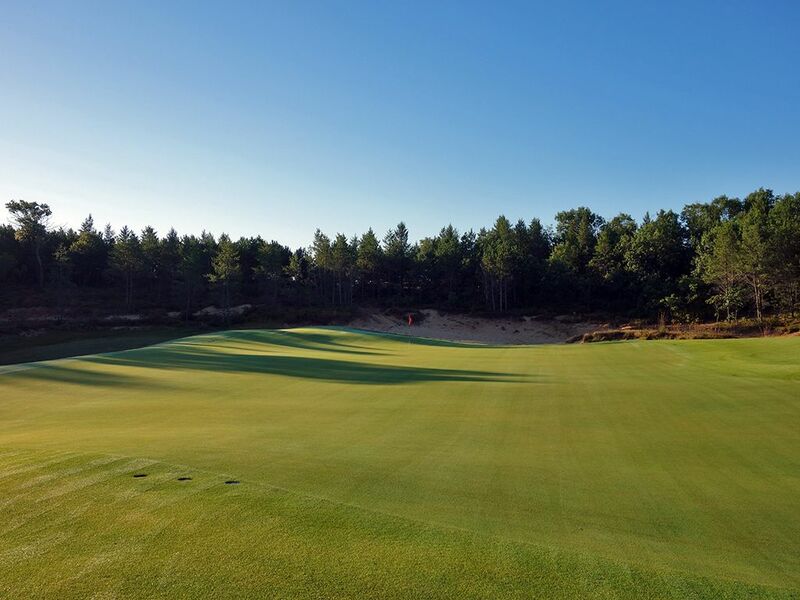 You'll need to put a poke of nearly 290 yards on it to clear the waste bunker fronting the green on a direct line from the back tee or you can aim right and fly the center bunker 250 yards away and nestle into a nice spot to approach the putting surface from. The uphill approach keeps most of the green out of view and offers just enough intrigue to keep you on your toes on this hole that uses more strategic elements than brute length to challenge you. 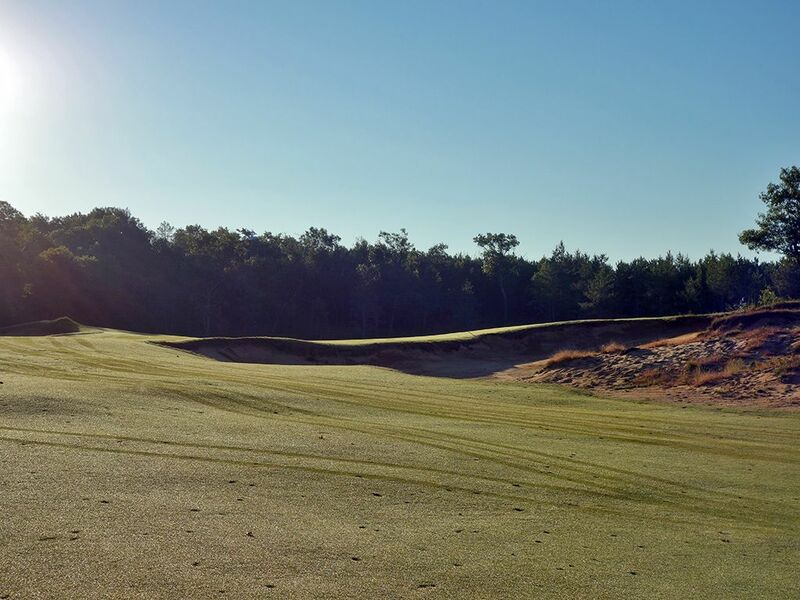 Best Par 5: 3rd Hole – 518 Yards – Mammoth Dunes' first par five is a softly curved double dogleg that initially bends left before working back to the right where the elevated greensite rests. 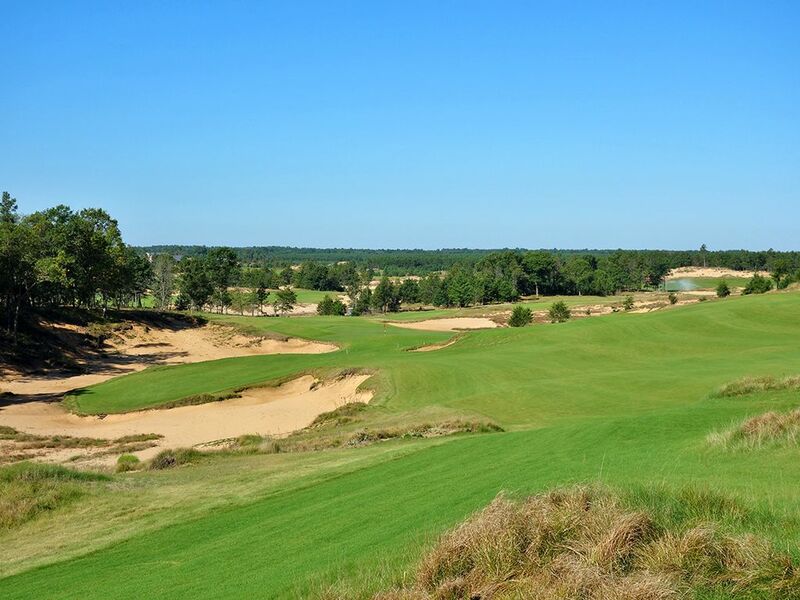 Waste bunkers canvas the entire length of both sides of the hole but off the tee the side you need to avoid is the left where the sand will quickly eliminate your chances of reaching the green in two. Plenty of room is afforded up the right side of the fairway and offers nothing but pure fairway to fly over on your second shot. If you are going for the green in two you'll have a section of waste bunker to carry enroute to a raised green with the putting surface out of view and will need some skill, and luck, to be left with an eagle putt. 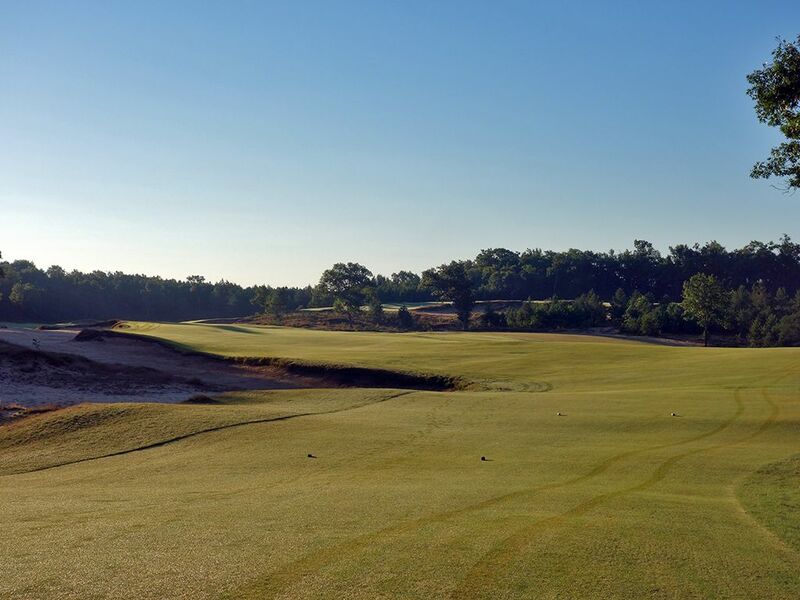 Whether you are going for the green in two or waiting until your third shot, the biggest danger is the steep falloff on the left side of the putting surface where a tight chipping bowl awaits and your short game will be tested as you decide whether to wedge it onto the green or do your best with a Texas wedge. Getting caught in that bowl is a unique challenge but can keep players in it for a few strokes if they get too cute trying to get out. 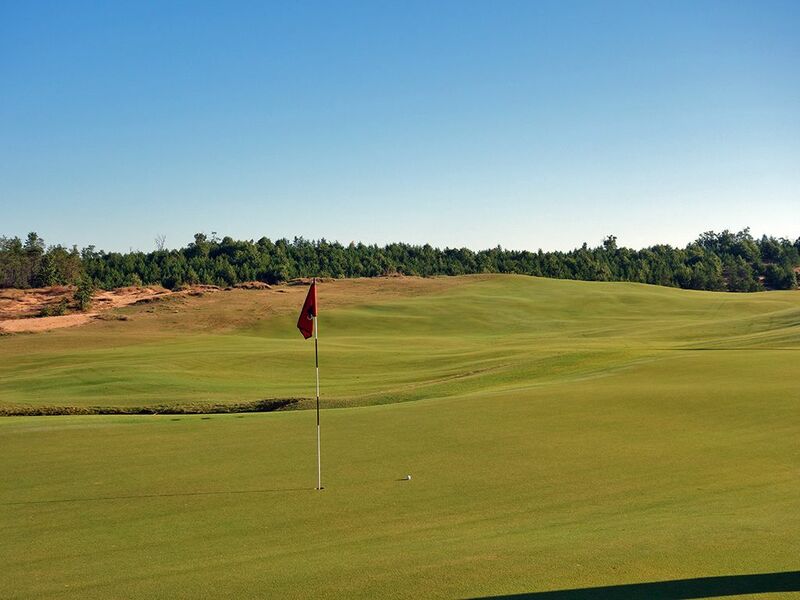 Birdie Time: 6th Hole – 344 Yard Par 4 – With three par fours under 350 yards and a total of five par fives, there are plenty of chances to throw some birdies on the card during your day at Mammoth Dunes, but your first opportunity is here at the 6th. 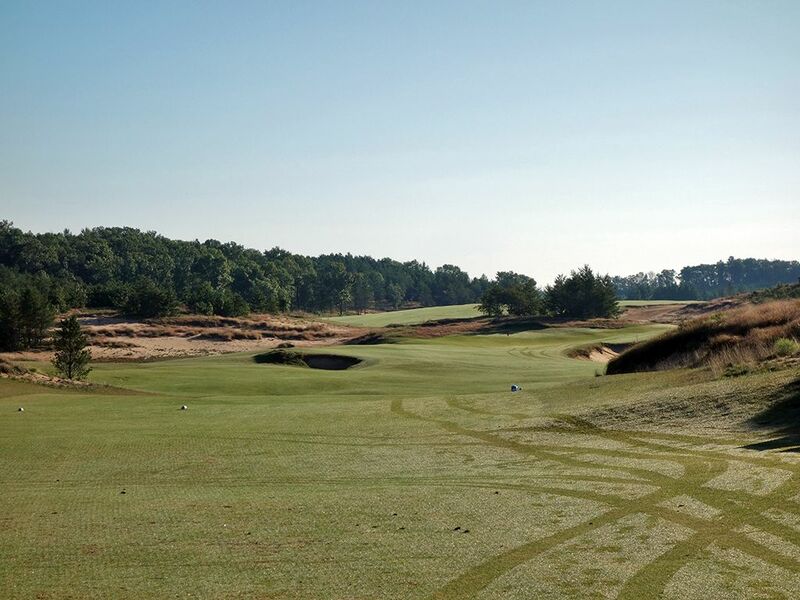 This straightaway par four asks players to fly the small bunker 100 yards from the green and put a little fade on their ball that will allow it to stay over the fairway before cutting in at the end towards the putting surface. Balls that veer right of the green will find themselves in a large waste bunker but will be afforded a backstop to work with behind the green that will work your sandblast back towards the hole and still yield a birdie chance. Hopefully this hole is the first of a few birdie for you on the day. Bogey Beware: 5th Hole – 456 Yard Par 4 – The longest par four on the course awaits you on the 5th tee box where players are presented a downhill tee shot to an exceptionally wide fairway, but don't let that lull you into comfort. If you play your tee shot far enough right a large bunker comes into play that will block your view of the green due to the high lip that can present a challenge to fly. 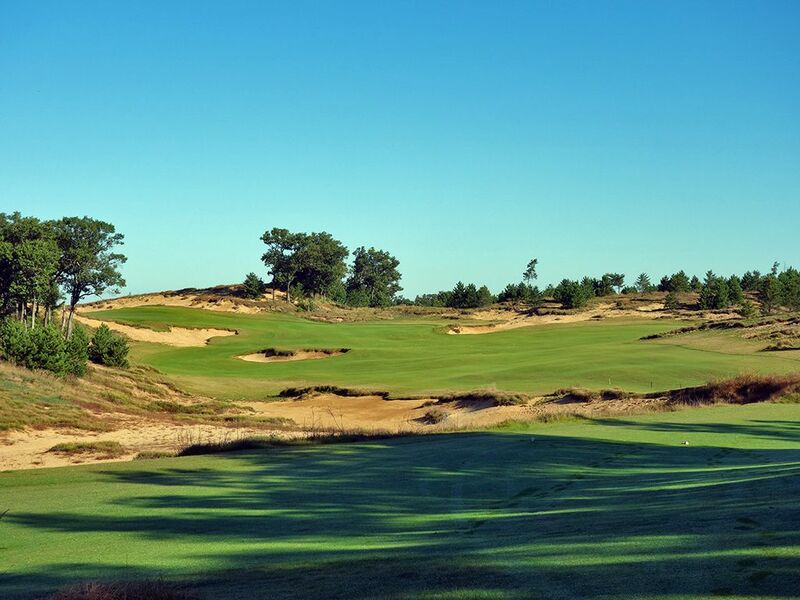 Going up the left side affords the best angle to the green but the narrow opening is collapsed on the right by a deep bunker that presents some challenging par save scenarios. 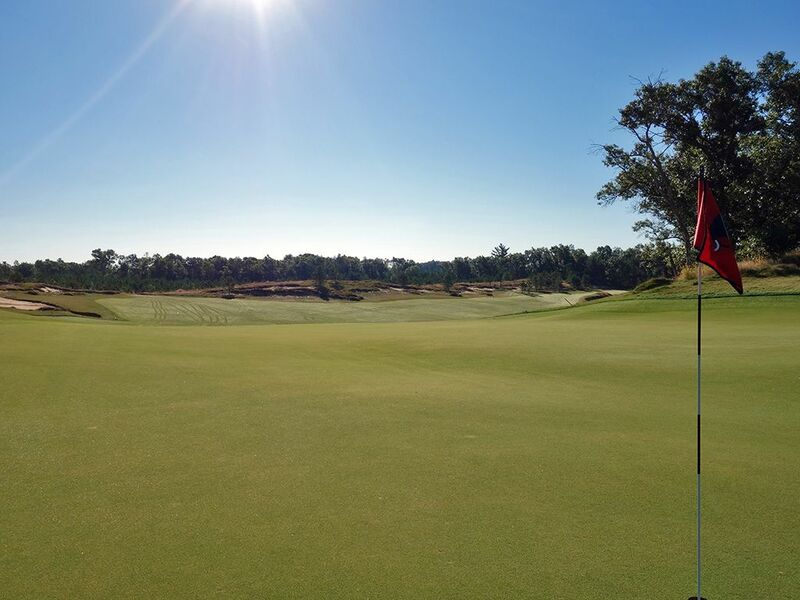 This challenging green in regulation has a sloping putting surface that presents its own set of challenges if you haven't figured out the speed of the greens yet as well.